There’s a lot to unpack in that sentence, but the bottom line is that most of us spend big portions of our lives in a kind of trance, either looking back at the past or forward into the future, or else zoning out entirely through TV or social media — which means we miss the opportunity to live more consciously. When we live that way, we are often controlled (without realizing it) by the habits of our minds. Worry is a habit of the mind, something our minds can become quite good at. So is anger, especially the reactive kind that causes us to bang on the car horn or yell at a family member before we’ve even consciously decided to do so. Cell phone addiction, stress eating, and a whole range of other unproductive behaviors are rooted in unconscious habits of the mind. And it’s more than the ways we act out without thinking. One of the most priceless things we lose when we are lost in our minds is the simple awareness that we are alive in this moment, in this body, with these people, on this beautiful and sometimes heartbreaking planet. When those moments add up over years and decades, we can find, to our great dismay, that we’ve hardly ever lived in present-moment awareness at all. The good news is that being more present and aware of what is happening right now is a skill that can be learned by nearly anyone. There are many forms of mindfulness, but meditation is one of the most powerful tools for training our minds to notice and then undo the habits that keep us from living in the now. Dan Harris of ABC News and the 10% Happier podcast likes to say that meditation is like a gym for the mind, and the research is clear: meditation, especially when done over months and years, rewires the brain in some significant ways, undoing the deep ruts of habitual thinking that form over time. It teaches us to notice what we are feeling in the moment so, later, when we are at work or in traffic, we can choose how to respond instead of simply reacting to an experience we judge as unpleasant. It helps us experience those moments without being so quick to judge them, or other people. That makes us nicer to be around as parents, partners, colleagues, or friends. It helps us get out of auto-pilot so we can experience the quiet awareness of being alive. All these benefits are available to anyone who wants them. It does take the discipline and effort required to establish a regular meditation practice, but it doesn’t mean spending all day on the cushion, either. Meditation lets us see more clearly the habitual ways we react without choosing our reaction, so we can develop the capacity to more mindfully choose how to respond to what life brings. And so, as the meditation teacher Joseph Goldstein says, “We sit, and know we’re sitting.” We breathe and know we’re breathing. There are many forms of meditation that come out of a number of traditions. Most are simply different paths to the same destination, which is learning to become aware of our thoughts, feelings, and attachments and practicing gently letting them go and returning back into present moment awareness. Some forms of meditation, such as Zen and transcendental meditation (TM), are based on focusing our attention on one particular thing. 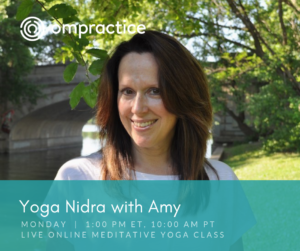 Most often, that one thing is the breath moving in and out of the body, or a mantra — a word or phrase that is repeated over and over. Other types of meditation, such as Vipassana, teach students to widen their mental lens beyond the breath. In these practices, we may be aware of everything that is present, from our thoughts to the sound of distant traffic, without judging anything that arises. The best type of meditation for you is the one you do consistently. Feel free to experiment. 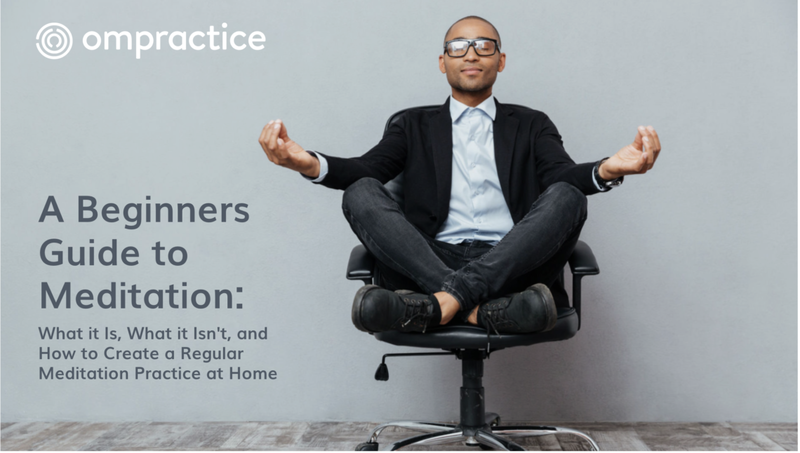 There are all kinds of misconceptions about meditation. Here are a few. Meditation is not (just) about relaxation. Yes, meditation can be very relaxing, and regular practice is one of the best ways to calm and quiet the mind. 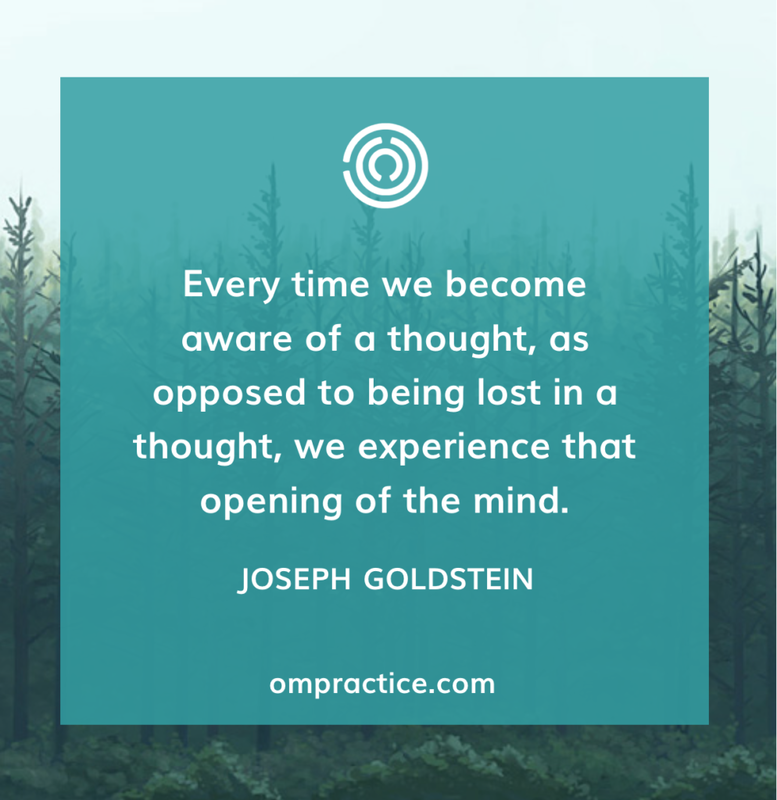 But the practice is really about observing the mind. For beginners, seeing our endless stream of thoughts and judgments can be anything but relaxing. Don’t let that get in your way when you begin. It’s normal. Meditation is not about not thinking. The mind produces thoughts. Trying not to think is frustrating and ultimately impossible. Meditation is about noticing our thoughts, letting them go without getting attached to them, and slowly learning to increase our ability to focus on the object of our meditation, whether the breath or something else. In the process, we remember that we are not our thoughts. Meditation is not navel gazing. Meditation is not about becoming (more) self-absorbed. It’s a way of understanding what makes us tick so we can become more mindful in how we treat ourselves and others. Meditation can actually make us less self-absorbed and more aware of those around us. Meditation is not just for spiritual people. Dan Harris, the ABC news anchor, began meditating after he had an on-air panic attack. He was, and is, skeptical about spiritual things, so his path to the practice was reading the neuroscience of mindfulness. Meditation is available to anyone, regardless of personal philosophy. Find a teacher. As with any skill, it helps to learn from a good teacher. Books can be helpful, but are most helpful for those with some practice. After all, you’re unlikely to learn snowboarding or guitar from reading a book, either. So it helps to participate in guided meditations led by an experienced instructor, and to take a full course that includes a lot of practice time. Let go of expectations and judgments. The first thing we discover when we try to meditate is that the mind is a relentless maker of thoughts, which can feel like the very opposite of meditation. That causes a lot of people to judge the experience and themselves. “Meditation is for other people, not me,” we think. “I am horrible at this”, we say to ourselves. And so, many quit in frustration, with a side helping of self-judgment on the way out. There’s a way around this, and that is to sit without expecting the mind to stop making thoughts, without judging our meditations as either good or bad, and without judging ourselves as either good or bad meditators. 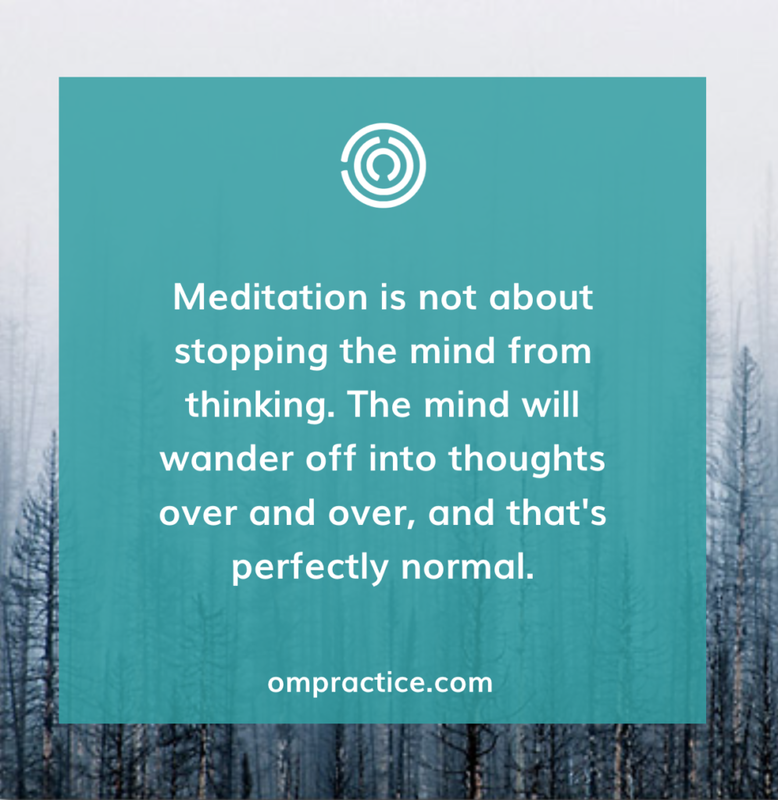 Instead, we can say, “My mind is noisy, and that’s why I’m meditating.” In reality, the process of noticing our thoughts and returning to the breath (or other focal point) is what meditation is all about. Keep showing up. Our egos think they know what’s best for us, and they like to run the show. Meditation is a way of quieting the ego’s influence on our lives, so it makes sense that the ego won’t be a fan of your new meditation practice. Be prepared for a barrage of thoughts questioning the wisdom of meditating at all. This is a waste of time, it might say. Try not to turn this into a battle. Instead, you can simply show up and sit, even when you don’t want to. There’s nothing the ego can do if you just show up and do the thing. Meditation is a little like nesting dolls: there’s always something more to unpack. For now, resolve just to show up without judging the experience or yourself and see what happens. When should I meditate? Ideally, you should meditate at about the same time every day so you can form a consistent habit. It might be when you first wake up, or after your first cup of coffee, or before dinner. Just try to find a time when you don’t feel rushed and aren’t likely to fall asleep. Put it on your calendar and tell your family or others in your life so they know that this is your time. How do I sit? You want to have a stable, comfortable posture. Some people sit on a meditation cushion with legs crossed, but many of us can’t sit comfortably like that. So you might take a relaxed, comfortable but alert, seated position with a straight spine and your feet flat on the floor. (You can also lie down if it’s more comfortable and you are able to stay alert that way.) Be alert but at ease, without holding tension in your body. Rest your hands in your lap in a way that feels comfortable. Close your eyes if you like, otherwise soften your gaze and look down at the floor. How long should I meditate? Many people suggest starting small and meditating for only 5 minutes at first, then building up over time. The key is to develop consistency. Everything is possible once the habit is established. Start with two minutes a day if you need to. What do I need to know? Remember that meditation is not about stopping the mind from thinking. The mind will wander off into thoughts over and over, and that’s perfectly normal. Remember, too, that you are learning to develop concentration; it doesn’t happen overnight. Be easy on your self, and know that it will become easier over time. Settle into your body, feel it sitting there, and begin paying attention to your breath. Keep breathing naturally, without effort. Bring your attention to the breath coming into and out of your nose, or on the rising and falling of the abdomen. Whichever you choose, try to keep your attention there. When the mind wanders, as it will, gently let go of the thinking and bring your attention back to the breath and begin counting again. Meditation is about beginning over and over. Have the intention of being kind to yourself and not judging your ability to meditate. We are so often hard on ourselves, but that won’t help. Kindness is your friend here. When you are done, open or focus your eyes, pay attention to how your body feels, and notice what thoughts come up. Congratulate yourself for these few moments of self-care. You can return to these simple instructions again and again, but you will likely want to learn and experience more. 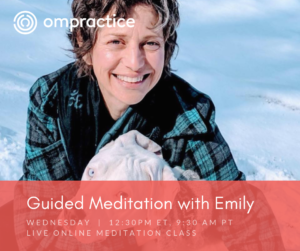 We’d love to see you in our guided meditation classes on Ompractice. While the world is full of pre-recorded meditation, we believe people benefit from being seen and supported in the moment by an experienced teacher. 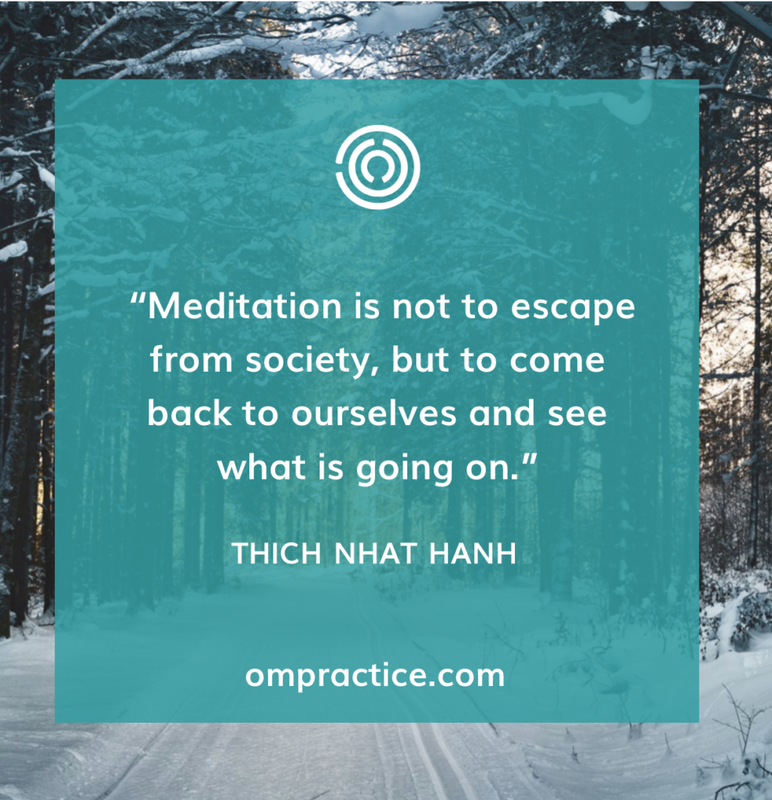 You might also want to find a local meditation community — meditating with others is a powerful way to build your practice. There are many forms and styles of meditation, and as your practice grows you may well want to investigate a number of them. 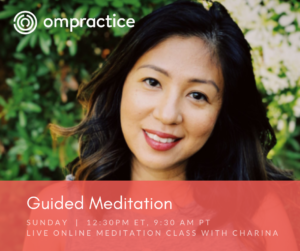 Take Your First Guided Meditation Class! Our teachers love to help beginners develop a regular practice. 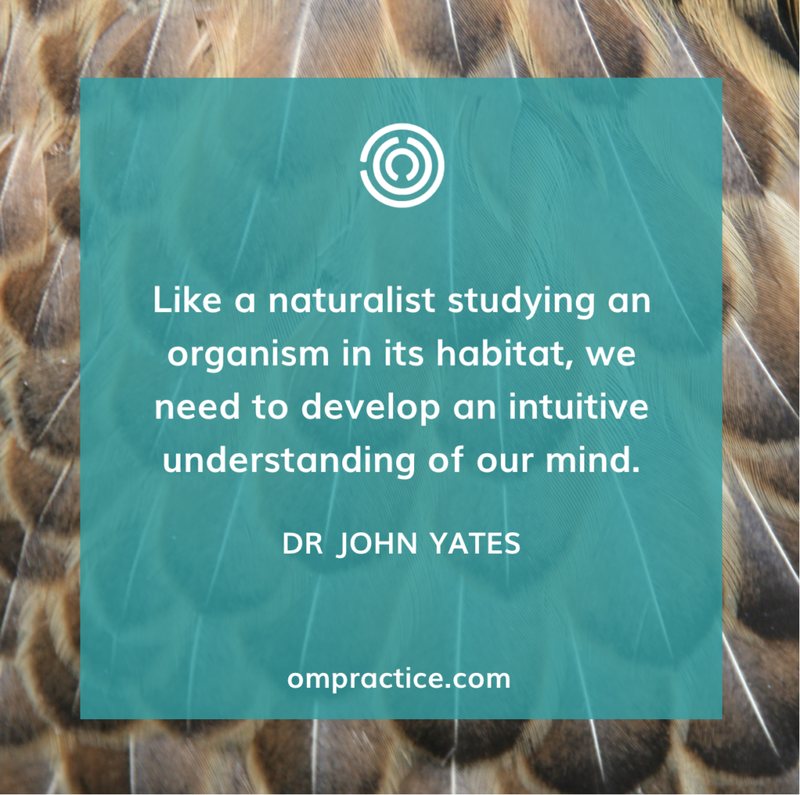 Remember that your first objective is simply to develop a regular practice. Show up consistently and, over time, you will enjoy the many benefits of meditation.